now plump, Nijinsky jumps on command. there will be a comeback, a return to glory. Mercedes Lawry was born and raised in Pittsburgh, Pennsylvania. and has lived in Seattle, Washington for over 30 years. 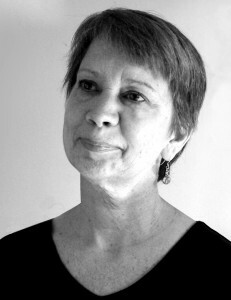 She has published poetry in such journals as Poetry, Rhino, Nimrod, Poetry East, Seattle Review, and others. Her chapbook, There Are Crows in My Blood, was published by Pudding House Press in 2007 and her chapbook Happy Darkness was released by Finishing Line Press this past summer. She has also published some fiction as well as stories and poems for children. Among the honors she’s received are awards from the Seattle Arts Commission, Hugo House, and Artist Trust. In Addition, Lawry has been a Jack Straw Writer and held a residency at Hedgebrook.